Zanzibar has the prerequisites of an exotic island - sun, sand and exotic charm. Even the name holds a magical tone. As the last stronghold of the African slave trade and the main growing area for cloves, the island has a ruthless side and yet the other side is the fragrance of paradise. The ruling sultans of this magical Zanzibar spice island used their wealth to build grandiose palaces and bath houses. Arrival, meet and greet at the Airport, transfer to Tembo House hotel (or similar hotel). Check inn for two nights in a double room, (sea/ pool view room) on bed and breakfast basis. depart from Tembo house hotel to Swahili Beach Resort (Or similar hotel). 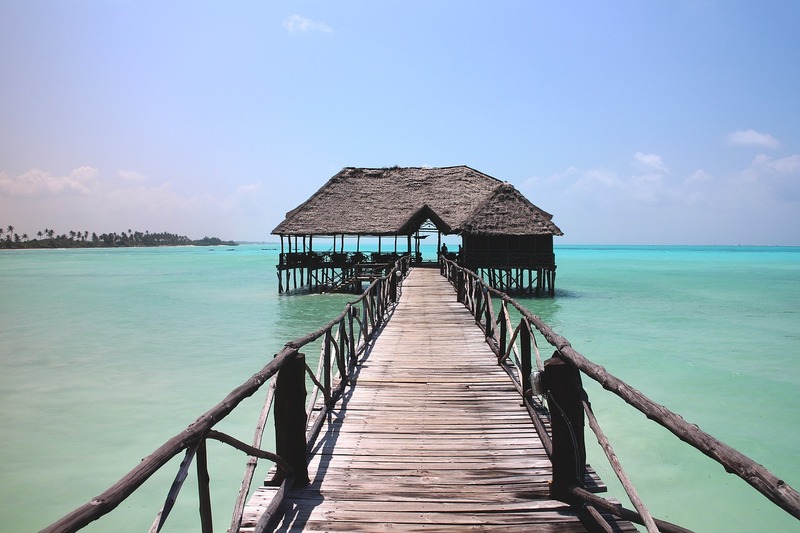 Swahili Beach is a hotel located in southwest of Zanzibar island. Jozani forest tour en route, Discovery of trees species, mangroves, red colobus monkeys, and other animals� species. Check inn for three nights at Swahili Beach Hotel (Cabana room) on half board basis. Morning at 08:00 after break fast Dolphins visit, swimming with the dolphins, on return ,near the beach snorkeling, free lunch at a restaurant. Return to the hotel at 14:00, Dinner and overnight at the Hotel. Full relaxation at the hotel. After breakfast in the morning at 08h00, Transfer from Swahili beach to Amaan Bungalows (Extreme North of the Island). Spice tour en route, discovery of spices, fruits, coconut climbing, and test some of Zanzibar fruits. Arrive at Nungwi Village at 13:00. Free lunch at Nungwi. Check in for two nights at Amaan Bungalows (deluxe room) on half board basis, Diner and overnight at Amaan Bungalows. Full relaxation, diner and overnight at Amaan Bungalows. Accommodation at Zanzibar in a double room, on B.B basis. All excursions shown in the package. All transfers shown in the package.